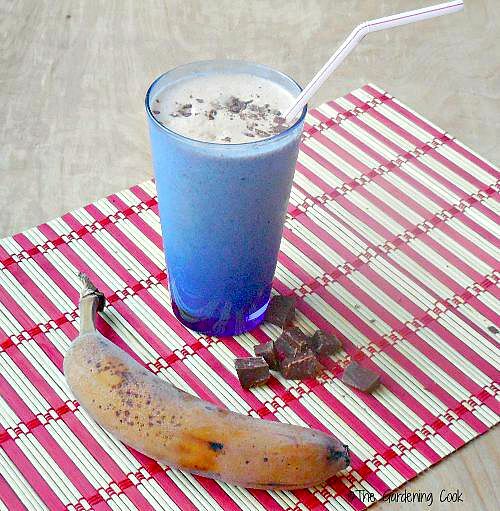 Quick & Easy Breakfast Option – Chocolate Peanut Butter Smoothie. You don’t have to have been reading my blog for long to know that I believe that chocolate and peanut butter are food group options. I love the combination. Unfortunately, with my new found resolution to lose some weight, these two delights need to be used in moderation. But that doesn’t mean that I can’t have them at all. No way..no how. 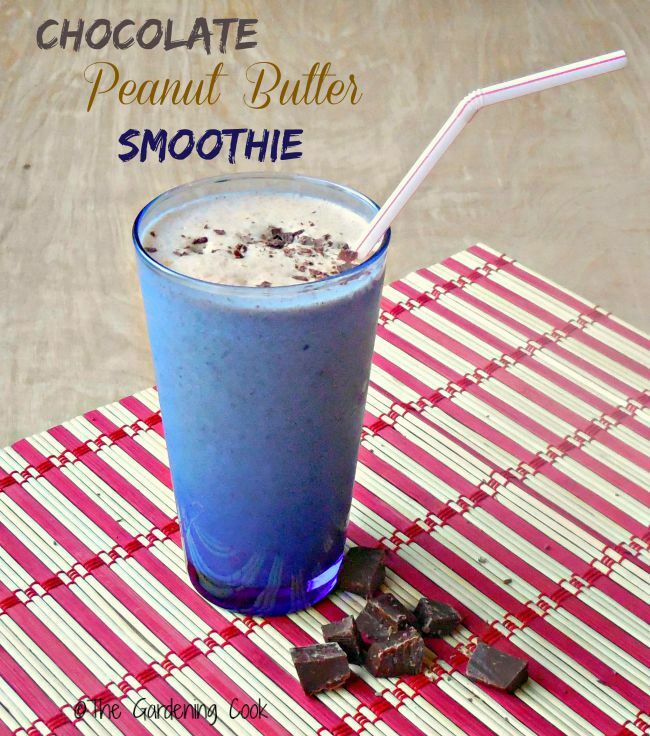 This Chocolate Peanut Butter Smoothie is the best of both worlds. It has the combination I like, but in moderation and it makes a great breakfast option too. I am not a breakfast person, by nature. I like it, but for me, breakfast comes at about 11 am. Ooooops! Forgot to mention I am not a morning person either. But since I have been getting out there and doing some walking, I am finding that I am sleeping better and waking up earlier. Waiting until 11 am isn’t an option for me any more. 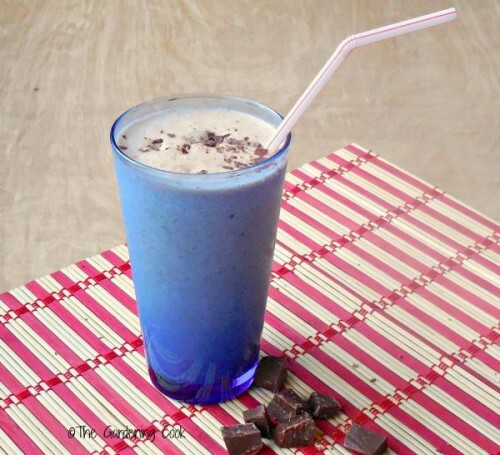 I love to have an early morning walk, and this chocolate peanut butter smoothie is a great option. It’s delicious, low fat and full of healthy vitamins. And did I tell you that it makes great use of ripe bananas. Into the freezer they go until I want to make one of these early morning drinks. The smoothie could not be easier to make. 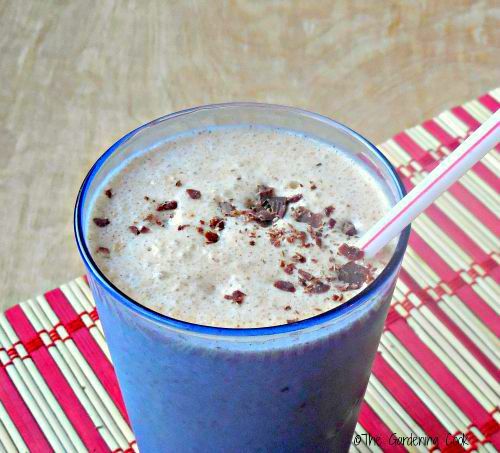 Gather up a frozen banana, some skim milk, and a tsp of peanut butter. Add a splash of pure vanilla extract and a bit of dark chocolate. Looks good enough to eat just like it is, especially that peanut butter! (Did I say how much I like peanut butter…) But I think I’ll wait a bit. Into the blender they go and a few seconds later, one delicious concoction of great tasting flavors. 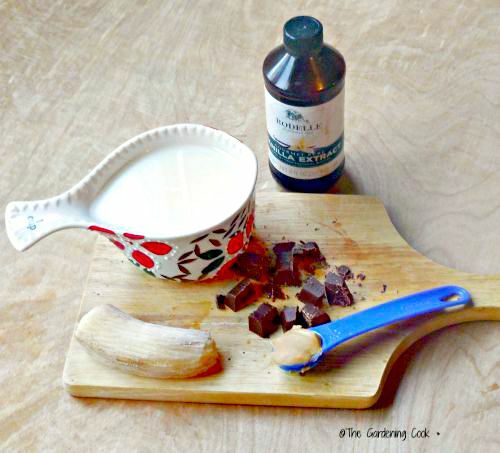 Pour the mixture into a tall glass and garnish with a few chocolate shavings, just because…. This drink is super good. It’s not too thick. I prefer to drink my smoothies, instead of using a spoon, thank you very much. It has just enough of the peanut butter taste to be good, it’s not too sweet, and best of all, it is delicious, low fat and fairly low in calories. 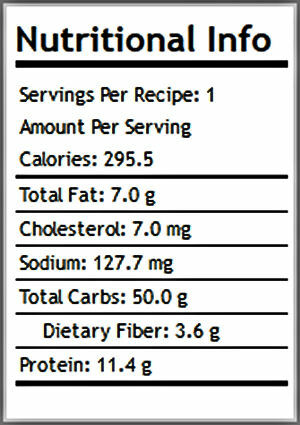 This smoothie gives me a good portion of calcium, a serving of fruit and some protein. It is light, and perfect for those who don’t like a big breakfast. I have this and then later in the morning have a snack of some berries and a few almonds and I am good to do until about 1 pm. Oh, and next time…please let my brain remember to remove the banana peels before I freeze the darn thing. Do you know how difficult it is to peel a frozen banana? Off for my run. Talk to you later! 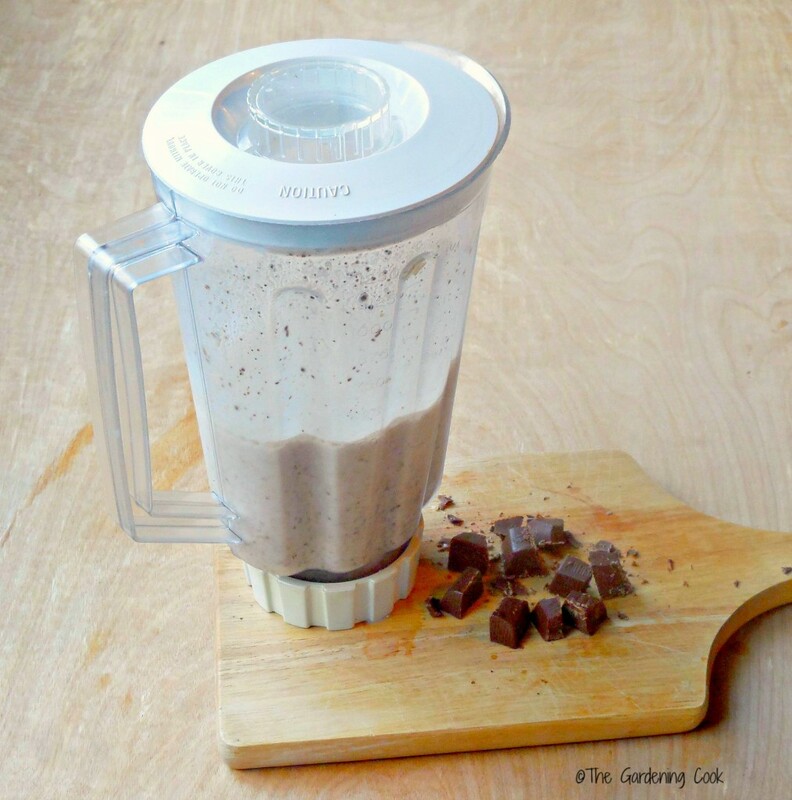 Combine everything in a blender and mix until smooth, about 30 seconds or so. Pour into a tall glass, sprinkle with chocolate shavings and serve cold. ← Winning Weight Loss Attitude – Finally! !